MeadWestvaco Corp., a global leader in packaging and packaging solutions, introduced Shellpak® Renew with Optilock™ technology. This smaller, more discreet medication adherence package is designed to meet patient and pharmacist needs by enabling greater patient portability and improving pharmacy efficiency. The package features an advanced locking mechanism for the highest level of child resistance (F=1) in a significantly reduced package size. 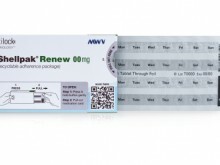 It is 23 percent smaller than the original Shellpak Renew, while still accommodating the same medications. 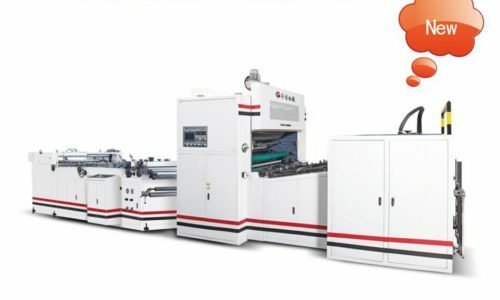 The package’s outer carton is made of MWV’s Natralock®, a paperboard-based packaging solution that maximizes the use of recyclable materials and minimizes waste. The secure, tear-resistant carton does not require paper backing on the foil blister, making pill expression easy. 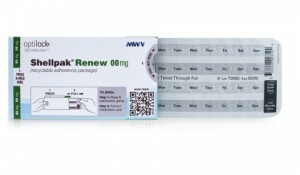 In addition, the package contains enhanced adherence features, including a smooth-slide blister for easy medication access and color-coded spine labels to help distinguish among medications. The package will soon be launched at Walmart pharmacies with medications from Mylan, a leading generics and specialty pharmaceutical company.